Christmas treats are a fun for the whole family and now you can feature your favorite treats on the mantle in a needlepoint stocking! 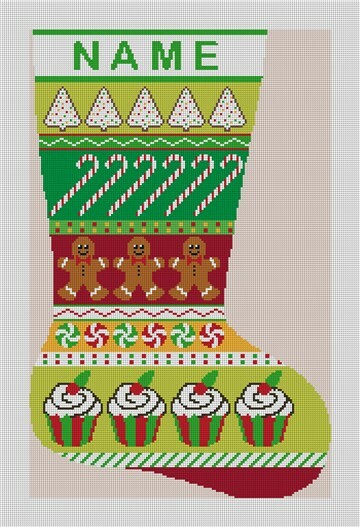 Cupcakes, peppermint candies, gingerbread men, candy canes, and peppermint cookies adorn this design. The simple backgrounds also open up possibilities for creative stitchers.